On Monday Dec. 9 Los Angeles Sheriff Lee Baca held a press conference to respond to federal criminal charges against 18 Los Angeles sheriff's deputies. The U.S. Attorney in Los Angeles on Monday announced charges against 18 members of the Los Angeles County Sheriff’s Department who worked at Men’s Central and Twin Towers jails. U.S. Attorney Andre Birotte accuses the group of committing 28 crimes in five separate indictments, including claims that several deputies beat inmates and also visitors to the jail. Prosecutors also say once a group of deputies learned of the federal investigation into jail abuse, they visited the home of an FBI agent working the case and threatened her with arrest. In another incident, deputies allegedly hid an FBI informant, moving him from jail to jail, while falsifying paperwork to make it look like he’d been released. The indictments sparked questions over how to effectively oversee the department, which besides providing law enforcement services for one of the largest county's in the nation, also runs the largest jail system in the United States. “The circumstances with which we are now confronted call for very serious intervention,” L.A. County Supervisor Mark Ridley-Thomas said Tuesday. He has proposed creating a civilian commission to oversee the sheriff’s department. “I suspect that the Los Angeles Police Department, for example, would not be as effective as it has become in terms of its reform efforts, were there no police commission,” Ridley-Thomas said. The supervisor's proposal has stalled at the board level (it has 2 supporters, it needs at least 3 to pass). Other board members, such as Supervisor Zev Yaroslavsky, have said such a commission would be fundamentally different that the body that oversees LAPD: the Los Angeles Police Commission has formal power; a sheriff’s commission would not. In California, county sheriff’s – unlike police chiefs – are elected officials. While police chiefs are appointed, generally by the mayor or a city council, sheriffs are chosen by the voters and are not directly accountable to anyone but the voting public. That said, the Los Angeles County Board of Supervisors sits atop the county government and has taken a lot of interest in the sheriff’s department, which employs about 18,000 people. As allegations of inmate abuse surfaced, the board convened a Blue Ribbon Commission to investigate in October 2011. About a year later, the commission issued a report calling for a host of reforms, all of which are in various stages of implementation by Sheriff Lee Baca. As part of that package, the Board of Supervisors hired Max Huntsman from the Los Angeles County District Attorney’s Office, to act as an inspector general for the sheriff's department. Huntsman will be in charge of providing independent oversight and monitoring and will have the power to investigate allegations of improper conduct by the department. Supervisor Zev Yaroslavsky said Huntsman will be given funding for 25 employees to staff his office. As for the Board of Supervisors itself, supervisors have no direct power over the sheriff besides their control over the department’s budget – a power they’ve been reluctant to use. But, he said, there are other influences, though not necessarily powers the board can exert – like the establishment of the inspector general’s office. “We have a bully pulpit and also some legal administrative ways we can get the attention of the sheriff’s department,” Yaroslavsky said. Peter Eliasberg, legal director of the ACLU of Southern California, said he’d be supportive of a civilian oversight commission, like the one suggested by Ridley-Thomas, though agreed it would lack formal authority. “One of the ways they can further get behind it is by lobbying Sacramento to pass legislation that would clarify and give explicit authority to civilian oversight over a sheriff’s department,” Eliasberg said. Sonenshein said the "most valuable tool" for influencing the sheriff's department might ultimately be the federal courts. "The federal government is weighing in now in a very big way," Sonenshein said. As the indictments play out in criminal court, the FBI's investigation continues, as does a federal civil rights investigation into practices at the sheriff's department. Birotte said on KPCC's Airtalk on Tuesday the other federal investigation could reveal a "pattern and practice" at the sheriff's department. He declined to offer any further details. "And if at some point there was a consent decree entered into by the federal government and the sheriff's department, that could actually have more impact on the sheriff's department than anything the supervisors can do," Sonenshein said. But ultimately, Eliasberg said, no commission or individual regulator is going to be able to overhaul a department. 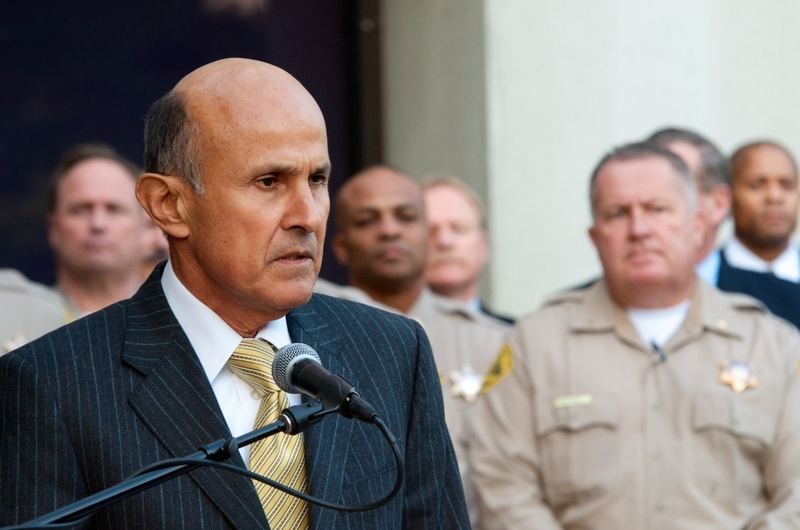 Sheriff Lee Baca, speaking to reporters on Monday, said he has been committed to reforming the department, noting that he has implemented a host of changes in recent months. He also said the actions of 18 deputies do not constitute an indictment of the entire department.